I KNEW it!!! The answer to this question is “bells”. And now, enjoy one of my favourite Christmas medleys of all time? 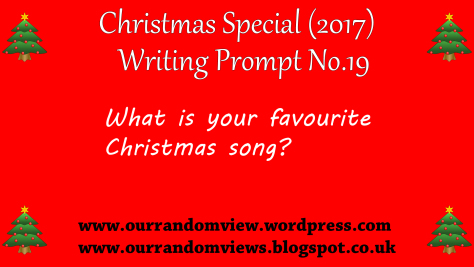 Posted on December 19, 2017, in Christmas Writing Prompt and tagged Christmas Writing Prompt. Bookmark the permalink. 2 Comments.